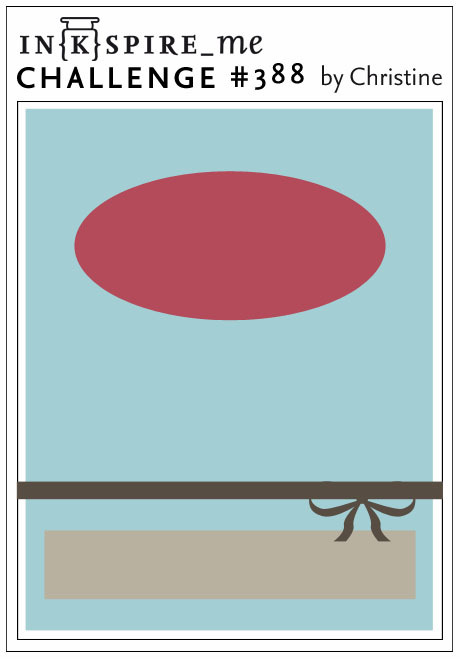 I love the adorable Be Hap-pea stamp set from Lawn Fawn. There's lot of punny sentiments included in the set, but I was wondering how I could make this stamp set make sense in French. I decided to pair it wth a die I have that says "From All of Us." This could make a great group card. 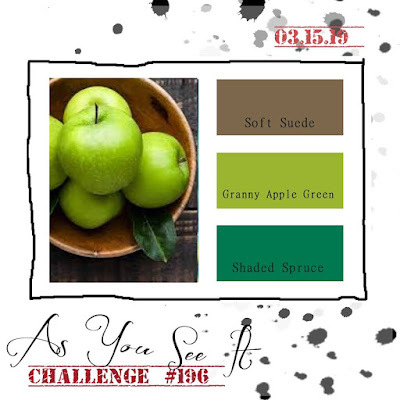 I played with various green shades from my Stampin' Blends marker collection (Soft Seafoam, Old Olive, Granny Apple Green and Shaded Spruce) to give the main image depth and interest. Even after putting everything together and adding the tendrils, the scene still looked a little bare, so I added the glimmery green heart and then I spotted the speech bubbles in the stamp set and decided to work those in as well. There's only one speech bubble and the tip faces left. This made it difficult to incorporate the second speech bubble since the point wasn't facing the pea's mouth (here's a sentence I never thought I was going to write!) so I flipped the die-cut on the table face down and hand traced a bubble following the indent around the die-cut. It's not perfect, but it's good enough. (I might have been better served using the mirror stamping technique using a transparency, but there's always next time.) Little clear and green gems were added as well to fill in the space a bit. The fun banner at the bottom was done using a die from the new Fancy Wavy Banners dies from Lawn Fawn. I really like the fun shape of this one. I used Gold Foil Paper to die-cut the sentiment going over it. It was a good way to break away from all the greens a bit. Because this card is A2-sized and I want it to be a group card, I added a folded insert inside (sort of a card within a card). This is a trick I use whenever we circulate cards at the office which will be signed by many people. THis is just adorable! I fell in love with the background, but those little peas just stole my heart! Great way to use our colors this week too! It all makes me SMILE! Thanks for sharing this with us at the AYSI challenge this week!